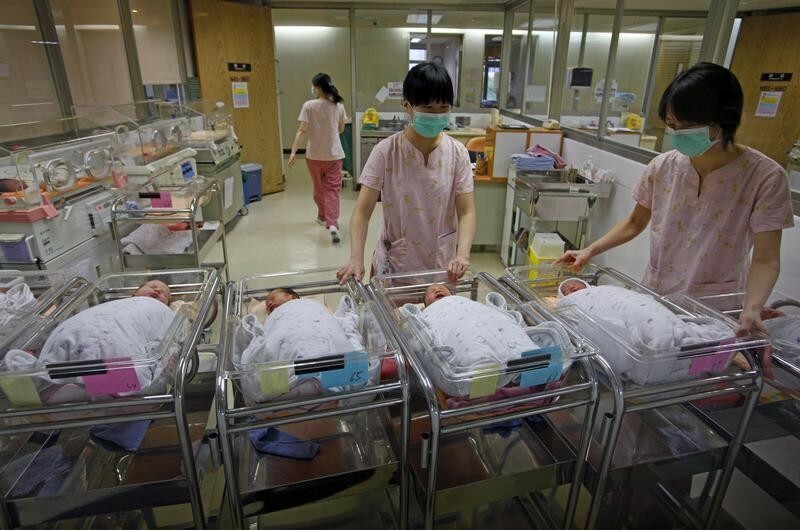 Newborn babies shouldn’t die of cold or jaundice or breathing problems. But the technology that is readily available in the West - such as baby-warmers for premature or sick newborns - is inaccessible to millions of people in poorer parts of the world. According to the World Health Organization, 45% of all deaths of children under the age of five are among newborns. 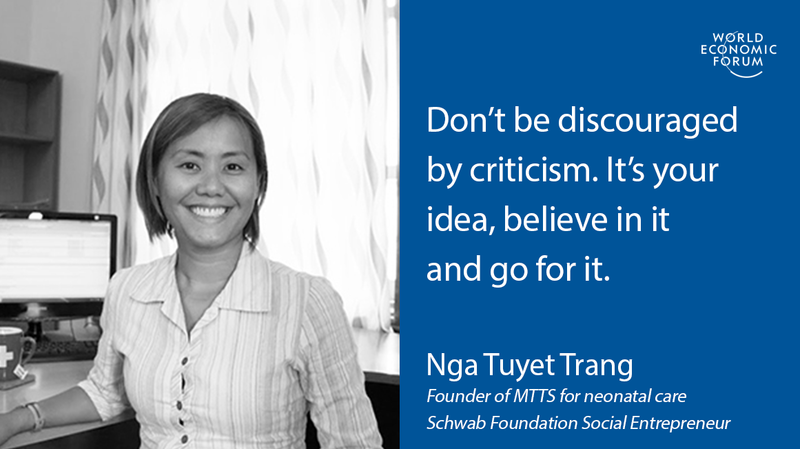 Nga Tuyet Trang, one of the Schwab Foundation’s Social Entrepreneurs of the Year 2017, is on a mission to protect the most vulnerable. In 2004, she launched MTTS, an enterprise that produces medical devices for newborns that are as little as an eighth of the cost of western models, reaching 1.3 million babies in Asia and Africa last year. What inspired you to launch a company making life-saving medical equipment for newborn babies? I grew up in Vietnam right after the war where almost everything was in short supply, including access to basic healthcare. I wanted to make a difference, with plenty of ideas, but no resources. Thanks to wonderful friends I got a scholarship to study in Denmark where I witnessed how things should work. I wanted Vietnam to be like that in the future. I shared my thoughts with friends in Hanoi after I returned but almost none of them believed that we could make a difference. Everybody kept saying that nothing could be done without the money. Denmark is the way it is because they are rich, they were pointing out. Well, we have to start somewhere, I replied. It was June 2004, the time we started MTTS - Medical Technology Transfer and Services – the social enterprise that designs, manufactures and distribute appropriate medical equipment for neonatal intensive care. I’m just a regular girl, born and brought up in post-war Hanoi. My parents were running a small restaurant and things were not always easy for us. I always liked to study but I was not able to go to the schools I wanted because my family could not afford them. It forced me to start working early, which I did in Hanoi’s Old Quarter, where I mastered my English talking to tourists. English-speaking Vietnamese people were hard to find at that time. In 2000 I went to study in Denmark thanks to the help of one of my dearest friends who I looked after in Hanoi. This event definitely changed my life. Until then I hadn’t left the country or even my own city. I came back with an open mind full of new ideas. Not to mention I met my husband there! Your devices are far cheaper than the previous models on the market - selling at US$1,000 to 3,000, as little as an eighth of the price of Western devices. How did you manage this? Medical equipment operations are very complex and sophisticated. When you look at a random bill of material you would think it should be very cheap to make, but the truth is that we are dealing with very high set-up costs and relatively low volumes. On top of that, regulatory approvals take a long time and the procurement procedures are very complex. Most companies don’t make much money on the device itself. They often sell them at cost and start making money on consumables or services that are attached to the product. A little bit like a printer and printer’s ink. We knew that high running costs were the real problem with medical devices in the developing world. Costs are usually transferred to the patients who absolutely cannot afford them. So, what we did was to reduce the machine running costs to a minimum which makes our devices very different from the competition, easier to use and long-lasting even in the poorest countries of the world. The selling price can be brought down thanks to having our expenses under control: we hire only local staff and add foreign volunteers’ expertise for free. We also get technology development grants that cover Research and Development and sometimes tooling costs. We are close to the market with good access to suppliers and customers right behind the corner giving us frequent feedback. All of these help us to be not only far cheaper than western devices but also very competitive with Indian and Chinese manufacturers. What has been the hardest part of launching and scaling up MTTS? Were you ever tempted to give up? Beginnings are almost always the most difficult. Starting a biotech company with a few thousand dollars seemed like mission impossible. In fact, it would be much harder today to repeat MTTS story in Vietnam. In 2004 regulatory requirements were almost non-existent and it was us together with National Hospital of Paediatrics paediatricians who created safety requirements. At that time there was no market for medical devices in the country and the entire sector depended on foreign aid. We had to spend lots of time fundraising and convincing people that our approach was worth investing in. Once we got to the point that we could actually manufacture in volume, we started facing problems with consistency and quality control. It was very hard to move from 10 units a month to 100. Storage space, human resources, working capital, selection of suppliers – all of these were constant troubles. The biggest issue even now is space. Hanoi is a crowded and congested city. We should move way outside Hanoi centre to have a proper warehouse and assembly lined up. It’s not easy because doing this would mean losing most of our employees, who were and are key to our success. Despite the challenges I have never thought about quitting. MTTS is all my life. What was your most exciting breakthrough? I think it was when MTTS won its first large government tender. Thanks to joint efforts with our charity partners, who created examples of how our technology performs on the ground, we were contracted by the Ministry of Health in Myanmar to deliver over 300 devices. It was very important because it was the largest non-charity purchase that we received. We managed to deliver everything before the deadline. What advice would you give an aspiring entrepreneur who wants to change the world? Once you have an idea, talk to your close friend and family about it. Then bring it outside your comfort zone and present it to people who might have experience in a similar field. Don’t be discouraged by the criticism. At the end it’s your idea, you believe in it and you go for it. It’s much easier to convince investors or donors once you are convinced yourself. What are your ambitions for the next five years? We want to keep increasing our impact. Every baby saved counts. Due to the niche nature of our business we need to reach more and more geographical areas. We already operate in 25 countries in three continents. In five years we would like to be global.